227 miles, 16 days, 84,000 ft of elevation change, 4 National Parks, 5 National Forests, 9 mountain passes, 1 huge peak, 40 gajillion lakes, 80 gajilllion waterfalls, 8 blisters, many new good friends, countless stars, 1 huge adventure. I have a deep love for the Sierras, which formed during time I spent living in South Lake Tahoe (one of my favorite places on this planet). My soul feels complete when I'm exploring these mountains. 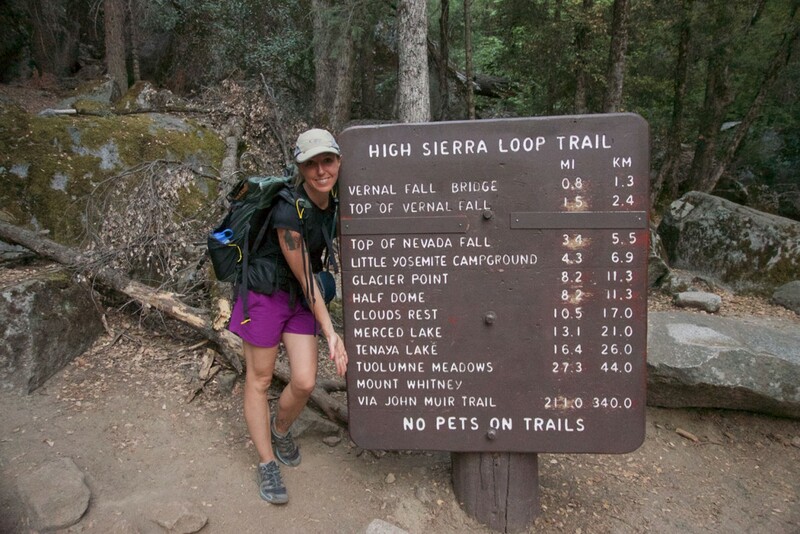 After moving back to California in 2012 I found the Sierras beckoning me, and decided in August 2012 to do the trail the following summer. Though my first attempt in 2013 ended abruptly in the smoke of the Rim Fire, the following year when my feet hit the trail they didn't stop until reaching Whitney Portal 227 miles later. The John Muir Trail is considered one of the most beautiful trails in the world - running through the Sierra Nevada mountains in California from Yosemite Valley, to the summit of Mount Whitney (14,496 ft - the highest mountain in the contiguous United States). It wanders through 3 national Parks, 5 Wilderness Areas, 8 mountain passes, 46,000 feet of elevation gain, and 38,000 feet of elevation loss, and boasts nearly incomprehensible beauty for every mile. These are the daily journals from my 15 days, and 224 miles, on the John Muir Trail in September 2014 (and my thwarted 2013 attempt).